A Pan Igbo group known as Nzuko Umunna led by the former governor of Central Bank of Nigeria, Chukwuma Soludo; on Tuesday, being the 28th of February 2017, paid a visit to Nnamdi Kanu (the leader of the Indigenous People Of Biafra and director of Radio Biafra) who is being incarcerated by the Nigeria Federal government over alleged treasonable felony since 2015. Speaking during a press briefing in Abuja, after the visit; the group condemned the secret trial which the government of Nigeria headed by Muhammadu Buhari wanted to impose on Nnamdi Kanu despite the fact that it's against the normal/legal judiciary system and they also asked President Muhammadu Buhari to immediately release the detained leader of the Indigenous People of Biafra IPOB, Nnamdi Kanu and other co-accused. Addressing journalists in Abuja, leader of the group Prof. Charles Soludo said the federal government must obey court orders. Stressing further, Soludo who was flanked by Prof. Pat Utomi, Dr Udenta and other Igbo professionals also accused the ruling party (APC) and the Federal Government of Nigeria of abandoning its social contract with the masses who live under the umbrella called Nigerian. Speaking during the briefing, they said “There seem to be a national consensus that the current system cannot endure. We are in a state of emergency at all levels. The national council of states has to be convened urgently. We demand for the urgent release of Nnamdi Kanu and his colleagues as well as all prisoners of conscience who are being held and incarcerated by the Federal Government of Nigeria”. The secretary general of the Lower Niger Congress Tony Nnadi, who was among the group, said "We announced a process, on January 1, 2017 and the LNC rolled out a registration of three million volunteers who want a referendum, the matter now is how to put a date for the referendum and go to vote". In conclusion; the group said it will work with all aggrieved Igbo groups and Biafrans worldwide. 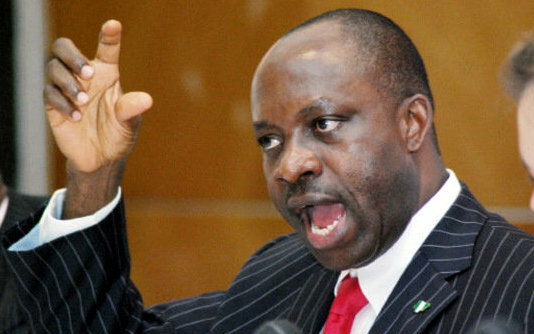 Professor Soludo has been the pride of the Igboland. I'm proud of you lot. God bless you. Referendum for Biafra must also include Biafrans living in Diaspora. Survey shows that there are about 15 million Igbo Biafrans alone living overseas.